We have a big problem in our home where Miss R’s bedroom is really a bit small for all of her toys and treasures. The fact that she tends to be a hoarder and very messy really doesn’t help. I’m hoping to update the room very soon, and we’ve been having a clear out over the last few weeks but it seems the more we clear out the more she seems to find to play with and so we go round in circles. There isn’t a huge amount we can do with her room. Some of the furniture is probably too large and not very practical, and the storage is ok but when the toys change they don’t seem to fit the storage that we own. So what could we do to make the room better? And given the opportunity, what kinds of items would I have in there? Well I’m loving some of these items from the woodentoyshop.co.uk so thought I’d take a look and show you some of my favourite items. As she gets older she seems to be acquiring more and more jewellery and toy make up accesories. And we find them everywhere. This lovely vanity unit would be ideal sitting on her desk as a way of keeping everything together. £60 from the woodentoyshop.co.uk. I am also loving this ingenious toy box that doubles up as a desk. 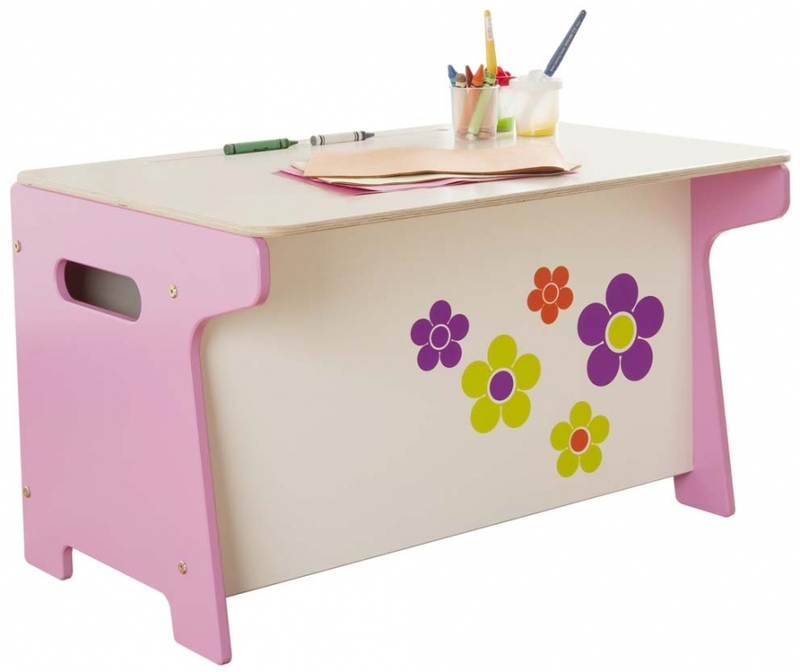 This clever chest has an overhanging lid that allows children to either stand or sit as they use the surface to play. From £86.95. 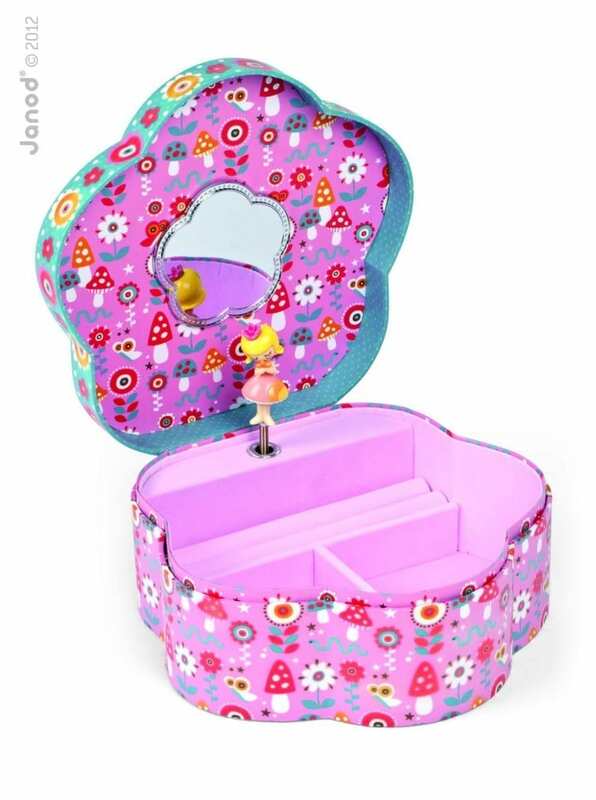 Even though we have one in Miss R’s bedroom, I couldn’t pass this one by and had to show you this very cute, girly jewellery box. 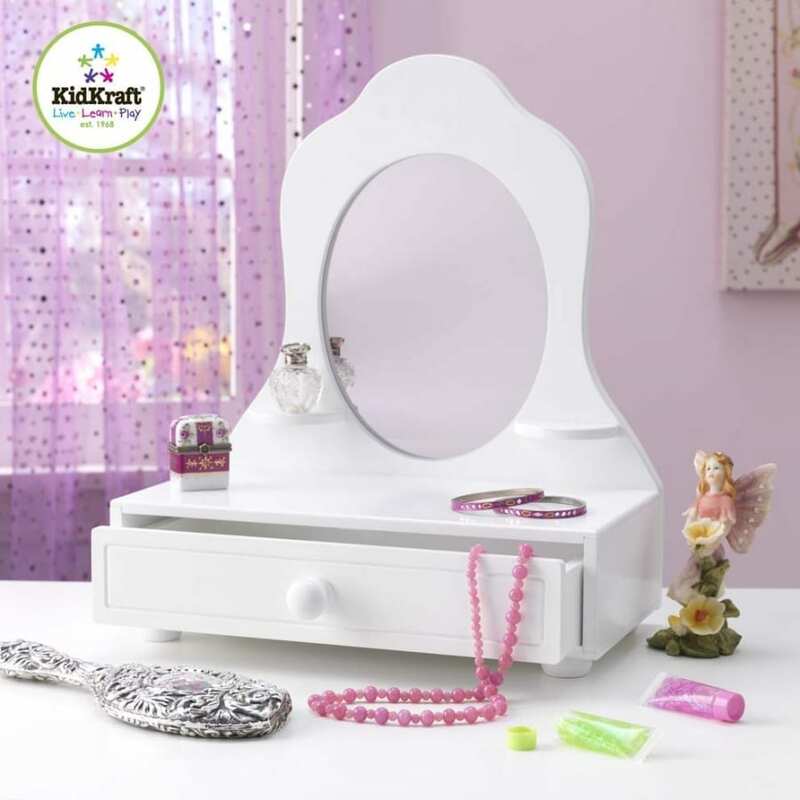 The Annushka musical jewellery box would make a perfect Christmas or birthday present for that special little girl, and would look great in most girls’ rooms. Also at woodentoyshop.co.uk for £20. This amazing Stage School Dressing up trolley would be loved by little girls all over the land I’m sure. It even has a three sided ‘front stage’ area with a dry-wipe surface that allows children to draw their own backdrop for each individual production. What a great idea. Retails for £110. So what do you think of these lovely wooden toy shop items suitable for a little girl’s bedroom? I want one of those dressing up stage for myself! Some really trendy furniture for kids you have on display here. I loved the stage school dressing up trolley especially, not a bad price either. Really beautiful trendy furniture you have it looks amazing…wooden products are just beautiful. Hello, Jen. I would like to collect the wooden toy storage and the vanity desk. Those are pretty much unique for me. Thanks for share. Hey Jen, that vanity desk is seriously cute! Love it!